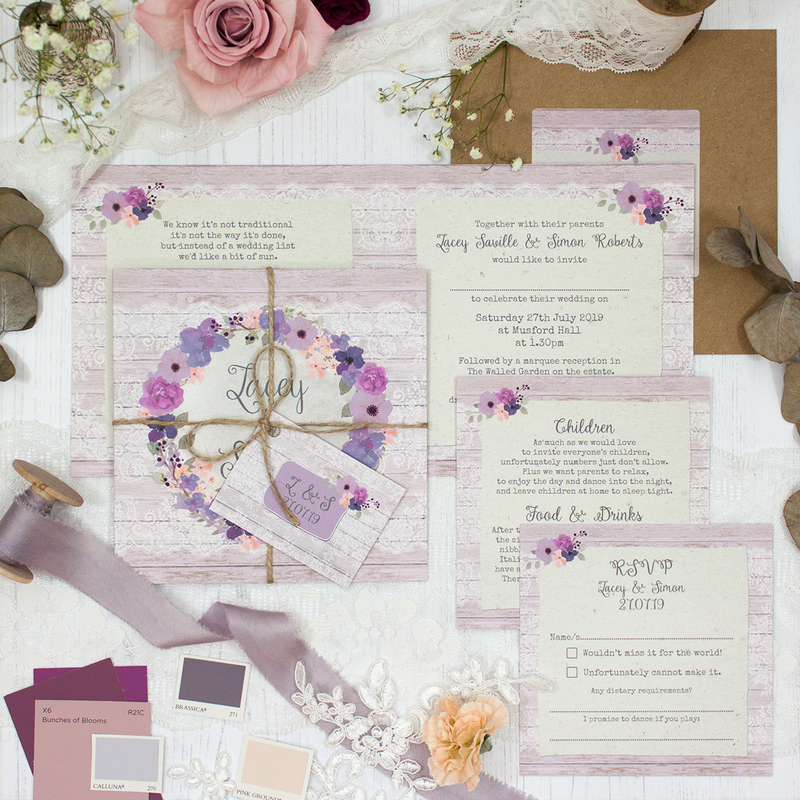 Wedding invitation sample pack including an RSVP, info card, string and tag, envelope and label in the Wisteria Garden Collection design. Inspired by a rustic garden wall with trailing wisteria creeping along it. This collection features the most gorgeous tones of purple from dusky lilac, to lavender and deep berry, and would sit nicely alongside any purple theme. 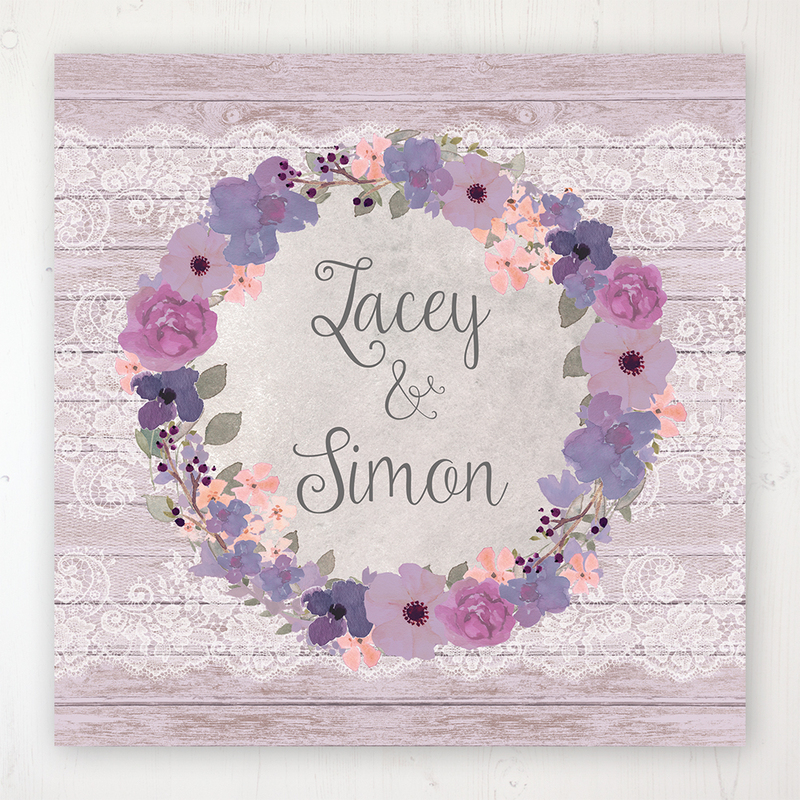 Perfect for couples that love purple with a touch floral whimsy.